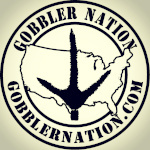 You might know whose these gobblers are, and where the hat came from..
Wow. Congrats. Now that’s a great hunting day! Great days work. Congrats to all. Congrats! I need one of those hats. A 3am stop at Waffle House on the way to the turkey spot is like heaven. Never had the opportunity to eat at the Waffle House. They aren’t around here. Is that a good thing? I have seen them in my travels, though..
Man you have to stop and get the All Star breakfast. I will try and hit one on my next trip south. The waitresses are graded on a scale of 1-10 based on the number of teeth they have. guesswho wrote: The waitresses are graded on a scale of 1-10 based on the number of teeth they have. Me neither, always was curious in my travels. But I cannot eat til 11 or so with even a 4am wakeup. Alot times after a duck hunt everyone goes out, I go home. I love breakfast for supper however. Waffle House is your friend, if you keep those kinds of friends & hours. I love a waffle House. Where else can you go and just point to the picture on the menu of what you want to eat? Plus, How hard is it to screw up eggs anyway? Love me some pecan waffles too. My stomach is hallucinating right now. I loved that story a couple of months ago where a drunk guy went into Waffle House in Atlanta late at night and found the staff asleep in a booth. He went behind the counter and made his own breakfast, taking selfies as he went, then posted the pics on FaceBook as he was doing it. He cleaned up after himself and came back to pay them for it later. Waffle House management wasn't too thrilled with the post and the publicity. I saw that. It was hilarious!! Sorry for the late reply Hoo'... been out-of-town on work. Big Congratulations from the Slopster! Fine work.